Today is the Yartzeit of the Taz. Rav Dovid Ben R' Shmuel Halevi Segal, author of Turei Zahav (The TAZ on Shulchan Aruch) (1586-1667), son-in-law of the Bach. Born in Cracow. Unofficial Rabbi of Posen 1619-~1640. Headed famous yeshiva at Ostro from 1643, escaped Cossacks 1648-49 to Lublin, then Moravia. Settled in Lemberg (Lvov). Lost 2 sons to violent deaths in Spring of 1664. Sent his son Yeshaya and son-in-law Aryeh Leib (later to be the Shaagas Aryeh) to investigate Shabsai Tzvi. He also wrote Divrei Dovid on Rashi al HaTorah. Rav David Segal author of the well known commentary on Shulchan Aruch, Turei Zahav is better known by the acronym of his work, the Taz. David ben Shemu'el was born in Vladimir in Volhynia (Lodomeria) in Ukraine in 1586 to a family renowned for wealth as well as scholarship. Rav Yoel Sirkes, author of the famous commentary on the Tur, Beis Chadash, took him for a son in law as a husband for his second daughter Rivkah. He studied under his father in law's tutelage and he later settled in Cracow where he experienced personal tragedy which he wrote about in his commentary the Turei Zahav. (See comments to Orach Chaim end of Siman 151 the laws of the synagogue) "In my youth when I lived in the holy community of Cracow my home and personal house of study where located above the synagogue (this is a frowned upon location as indicated by the Shulchan Aruch ibid) and I was greatly punished when my children died and I pointed to this as the cause of their untimely death." He was witness to both the bloody uprising of Bohdan Khmel'nyts'kyi and the messianic aspirations of Shabetai Tsevi. Taz resided briefly in Kraków and Putalicze, spent more than 20 years at the prestigious rabbinic post of Poznań, and later accepted a rabbinic position in Ostróg, Volhynia. However, when Khmel'nyts'kyi's forces virtually decimated the town's Jewish population in 1648 [see Gzeyres Takh Vetat], Taz escaped to the fortress of Ulick. Several of his halakhic rulings, as well as some liturgical poems he composed, reflect the horror of that time and depict the escape of the Jews of Ulick from Khmel'nyts'kyi's troops. After months of wandering through Moravia and Germany, Taz settled in Lwów, where he died in 1667. His commentary on the Shulchan Aruch was so well respected and esteemed that many of the leading rabbis began to use his opinions, decisions and rulings as the basis for their own. This roused the ire of other rabbis such as Rav Shmuel Koidinover author of Birkas HaZevach and Rav Gershon Ashkenazi author of Avodas HeGershuni who felt that not only was it improper to rely on the decisions of such later authorities over deciding the case through the earlier works. They felt that the commentaries of the Taz and his contemporary Rav Shabsi Kohen author of the Sha"ch were full of errors and mistakes. Just as earlier in history the Maharam Lublin had attacked the Shulchan Aruch and the Rema for what he saw were shortcomings, and was ignored, so were the attackers of the commentaries on Shulchan Aruch ignored. Their opinion was in the minority and the majority of the rabbis greatly respected and followed the rulings of the Shach and Taz to the point where today, no rabbi can earn semicha without having studied and mastered their commentaries in addition to having studied and mastered the Shulchan Aruch and the Rema. There was once a beautiful synagogue in Lwów named the Turei Zahav synagogue where the famed Taz had prayed. It was clothed in a mysterious aura of splendor, sanctity and holiness from days gone by. Its sextons and prayer leaders were esteemed righteous people whose position was seen as important and honorable. The history of this synagogue is rich and paints a tapestry whose backdrop is one of the Jewish struggle for rights against the Jesuits and their lies. In 1571 a fire broke out in Lwów's Jewish ghetto and the central synagogue named was burned down as well. The community leader, a wealthy merchant by the name of Reb Yitzchak Nachmanowitz began to work towards a solution and on September 24, 1580 he purchased an empty lot known as Olesko's lot for 1500 gulden. On it had stood the ruins of stables and the municipality who was short of cash was happy to sell the empty deserted lot to the wealthy merchant. On March of 1581 he received the king's license as well. He hired an Italian architect named Paulus Romano to build him a large and magnificent edifice to serve as the new synagogue. The original ancient building that had gone up in flames was too small and the new synagogue was designed to be 9 x 11 meters with two adjacent rooms. Because King Sigmund had ruled that the Jewish merchants were to be given rights and privileges, Rav Yitzchak was able to purchase and build a magnificent home in the gothic style of architecture as he wished. Building a synagogue was another matter entirely. The law forbade synagogues to be distinguished externally from any other building and certainly it forbade them from being taller or magnificent structures. To circumvent this issue as well as to bypass the lack of a permit for building a new synagogue, which Rav Yitzchak failed to receive, he had his own private home and villa attached to the new synagogue so that they were one structure and the only entrance to the synagogue was in fact through the hallway of his very own home. Thus rather than having built a public synagogue, in essence Rav Yitzchak claimed the synagogue as his own private house of worship and prayer. Off course during times of prayer Rav Yitzchak granted permission for the entire Jewish community to pass through his home and this unique feature would later be the savior of their synagogue from the hands of their enemies. In 1582 Romano completed his work and the new synagogue was complete. In 1595 Rav Yitzchak passed away and his two sons Mordechai and Nachman took over his position in the community. In September of 1591 the Archbishop invited the Jesuits to Lwów. He gave them a small church and a private house for their quarters. They began to search Lwów for a suitable location to build a proper church and monastery, yet they could find no suitable location. The local church who opposed the Jesuits due to internal church politics would not help them and they were left without a solution. Until one day in 1600 they set their sights on the Jewish quarter and began to explore it. When they saw the magnificent structure of the synagogue their envy and jealousy was aroused and they set their sights on it to acquire it for themselves. No sooner had they hatched the plot then they set about accusing the Jewish community of building an illegal synagogue without the royal permit. The Jews off course do not sit idly by and having roused the entire Jewish community to defend its synagogue and its honor they set about proving that they had in fact purchased the land legally and had all the documents to prove it. The long drawn out battle went from court to court and ended up twice before the king himself. This lasted between four to six long years of court cases, appeals and tribunals and the royal tribunal in Cracow handed down its final decision: "the synagogue is a public building which must be handed over to the Jesuits, however all the lots and property of the Jews must be purchased back by the municipality and the Jews were to be compensated fully for their value and any investments they had made in the property." Finally on January 1606, the king reached his decision to agree to this ruling against the Jew's appeal and to award the lot and the synagogue to the Jesuits. The complaints of the Jews fell on deaf ears and the municipality was ordered to compensate the Jews financially but the Jews must hand over the keys to the Jesuits. Jewish Lwów was in a state of shame and mourning. The Jews removed everything from the synagogue. The son of Reb Yitchak, Reb Mordechai Nachmanowitz, flanked by the heads of the Jewish community, the sexton of the synagogue and two witnesses approached the Jesuits with the keys to the synagogue. He led them through his home and hallway to the outer courtyard where he opened the gate and allowed them to enter. 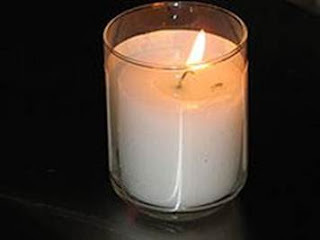 The masses entered and lit candles where the Aron Kodesh had stood and chanted Christian prayers, while the Jewish community was enwrapped in a state of pain, crying and mourning as on Tisha BAv. This reached a crescendo when they spotted the new cross erected on top of the building. According to one legend through it all Reb Mordechai stood strangely serene and composed. His reason was revealed all too soon. He had not given up hope. He had a plan. Once the keys had been officially handed over, this had all been recorded in the official protocols, and the Jesuits had left. Reb Mordechai stood defiantly and barred their re-entry. To their astonished faces he set forth a simple argument, the only entrance to the synagogue was through his own private home and through his living room. The king may have ruled that the synagogue's keys were to be handed over to the Jesuits, however no one had ruled that he had to grant them entry through his private home and domain. This he flatly refused to do. "I suggest you sell me the synagogue since you have no way to enter it anyway and build yourselves a church elsewhere." So saying he barred the door, locked the gate in their face and turned away and went home pocketing the key. The enraged Jesuits, seeing victory snatched from their hands went on a rampage. They returned the next day yet they found the deserted gates to Reb Mordechai's home locked. Furiously they launched a complaint with the municipality. Reb Mordechai sent counsel to represent himself claiming simply that the Jesuits were now demanding something they had never been granted. They had not been allowed free access to his private home and domain. The municipality (whose heads were also at odds with the Jesuits) agreed to Reb Mordechai's argument and the Jesuits were left with no other options but to compromise. The Jews received back all their property, including the old and the new synagogue and the bath house. In return they paid an exorbitant amount to the Jesuits who would use the funds to purchase their own property. Nonetheless the Jews saw this as a clear victory and a miracle. They celebrated by re-sanctifying and rededicating the synagogue with great emotion and thanksgiving. And the Jews of the city of Lwów rejoiced. According to another legend it was Rav Nachman's wife named Rosa who saved the synagogue. As a young girl she was a beauty with golden locks and received the nickname Golden Rosa. Others say that hers was a heart of gold, and in her piety she took care of orphans and beggars. Either way she was nicknamed the Golden Rosa and according to legend her sanctity, piety and wisdom went hand in hand. She approached first the king, then the archbishop and succeeded in persuading them of the Jew's rightful ownership of the synagogue. Her words of wisdom, framed with her piety and goodness won their hearts and her pleas were accepted on High. Legend has it that this is why the synagogue was originally named the Golden Rose synagogue. It was named after her since she succeeded in helping win it back for the Jews. Only years later when the famed Taz, author of Turei Zahav prayed there was it then called by many as the Turei Zahav synagogue in his honor. Rav Yitzchak haLevi Segal (the Taz's older brother) wrote a glorious poem entitled "Geulah – redemption," which Maharam Lublin and the author of the Sem"a had enacted to have sung in Lwów annually on the Shabbos following Purim. This poem was written on parchment and hung displayed in a place of honor in the Turei Zahav synagogue. In his commentary to Pirkei Avos 1:1, Ruach Chaim, Rav Chaim of Volozhin tells us the following story: "The story is told regarding our master Rav David the gaon and author of the commentary Turei Zahav (Taz on Shulchan Aruch) that once a woman came before him crying and shouting "Woe is me! Rebbe, behold my son is so weak he is at death's door!" And he answered her, "I am in G-d's place?" She responded: "I am calling out to the Torah which you learn and represent! For the Holy One and His holy Torah are one and united!" And he answered her, "I will do this for you, I will give as a gift the Torah which I am studying now together with my students for your sick son, maybe in it's merit he will recover and live, since the verse says "With this [Torah] shall you live a long life," and at that moment his fever broke. We see that through Torah study, with the power of his dveykus attaching and cleaving to Hashem one has the ability and merit to revive and resurrect the dead!" During his tenure in Lwów, he served as rabbi of the community, headed its yeshiva, and played an active role in the deliberations of the Council of Four Lands. Among Taz's more prominent students were Shemu'el ben David (rabbi in Hamburg and author of Naḥalat shiv'ah), Yisra'el ben Shemu'el (rabbi of Tarnopol), and Taz's stepson Aryeh Leib (rabbi and head of the yeshiva in Brest Litovsk; author of the responsa collection Sha'agat Aryeh ve-kol shaḥal). Along with Aryeh Leib, Taz sent his son Yesha'yah to visit Shabetai Tsevi during the latter's imprisonment at Gallipoli. They returned with glowing reports about the messianic pretender; there is no evidence, however, that their father shared this enthusiasm. Taz wrote a voluminous collection of responsa (unfortunately not extant) and a commentary on Rashi's commentary on the Pentateuch, Divre David. However, his principal work was the Ture zahav, one of the foremost standard commentaries to the four divisions of Yosef Karo's Shulḥan 'arukh. Originally published in four parts from 1646 to 1754 and published in full in Berlin in 1776, Ture zahav is in reality an eclectic commentary to Sirkes's Turim; indeed, Taz was more a wide-ranging commentator than a rigorous codifier, including in his work many lengthy discussions of halakhic matters. Taz engaged in written disputes on halakhic matters with Rabbi Shabetai ha-Kohen (Shakh), whose commentary on Shulḥan 'arukh, Yoreh de'ah, appeared in print the same year as Taz's work. Rav David ha-Levi's halakhic analyses continue to be consulted by scholars, and they have influenced halakhic decisions through the generations.